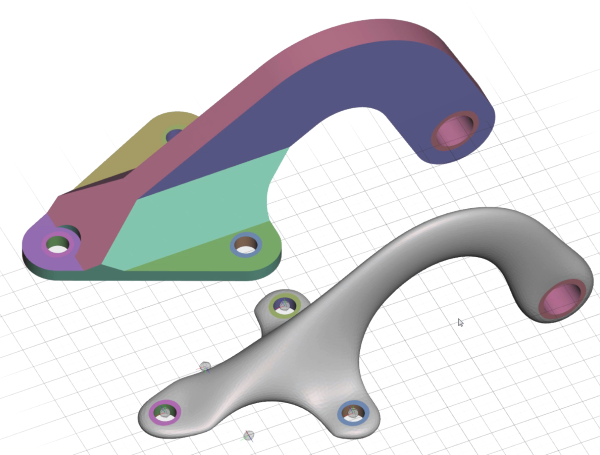 The growing use of additive manufacturing lifts many constraints on form imposed by CNC maching and injection molding, and has lead to a renewed interesting in applying triangle meshes, voxels, and implicit surfaces in real-world CAD systems. However, such systems should inter-operate with legacy B-Rep CAD solid modeling tools. I will discuss our ongoing attempt to combine these two domains, relying on a combination of dynamic triangle meshes and variational mesh processing.